người hâm mộ lựa chọn: Henry and Anne Season 1 in the woods. if bạn could which character would bạn marry and why? what do bạn think of thomas in this pic? When the future Edward VI was born in 1537 there was much rejoicing – for his father King Henry VIII, the birth of a son was especially important. The joy at the birth was of course overshadowed bởi tragedy because it was to lead to the death of the mother of the child, Jane Seymour. Anne is born at Blickling, Norfolk, to Thomas Boleyn and his wife, Elizabeth (daughter of Thomas Howard, later một giây Duke of Norfolk). Historians thảo luận whether Anne was born in 1501 hoặc 1507; the former is thêm plausible. When bạn think of Princess Mary bạn think of Bloody Mary that was the despised Queen before Elizabeth. They hated her for her persecuations of protestants, her marriage to Phillip of Spain. 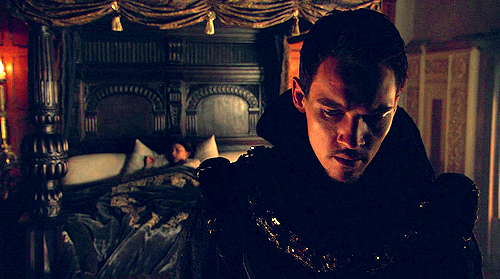 So far The Tudors has done a good job of characterizing Henry VIII and the people around him. The many anachronisms are to be expected, unfortunately. I am very excited to see how far this hiển thị goes and what this new season holds.